The World's #1 Multi-Store Ecommerce Platform. 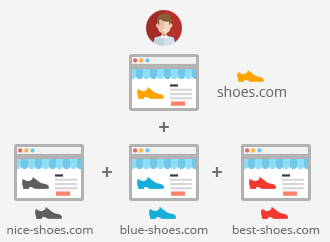 Manage and customize all of your online stores - in ONE admin. Manage your catalog, products, orders, customer data, reports and content for all your stores without duplicate efforts or multiple logins. Market multiple brands and products to different customers in different regions-all with unique price points. Customize individual store layouts or reestablish branded themes. 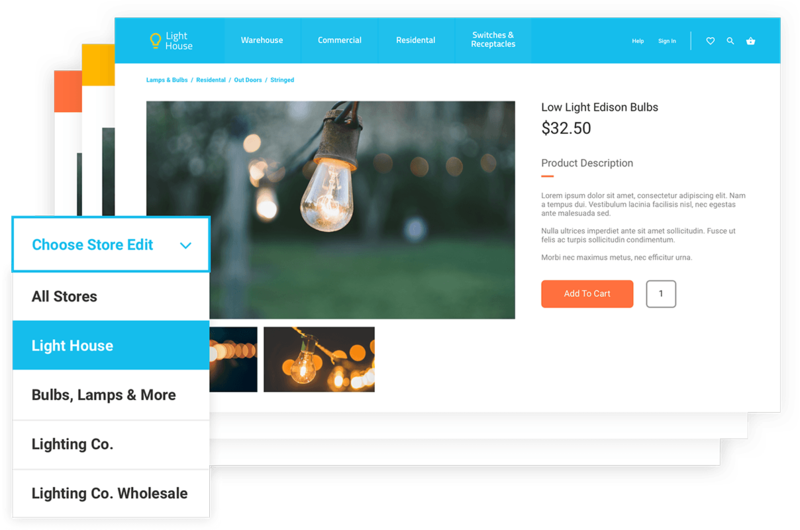 Add products and bundles to multiple categories, share inventory across multiple online stores and update product info and pricing from one database. Manage your inventory, customers and content for multiple selling strategies with a single admin console full of deep B2B features and customization tools. Each additional store is only $39, so your eCommerce platform scales with you as you expand your empire. 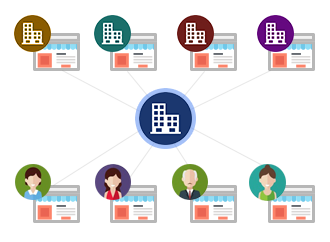 With multiple storefront capabilities and deep catalog tools, AmeriCommerce puts the powers of customization and flexibility to work for you. Can I add multiple stores later? Absolutely - Anytime. 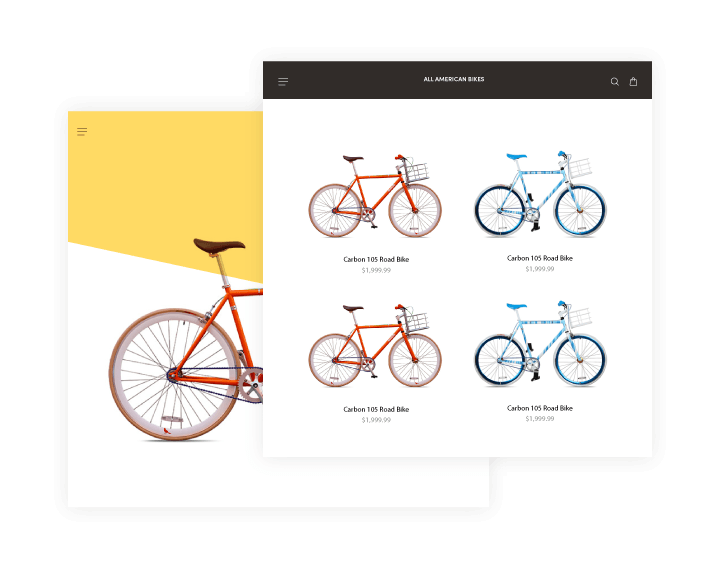 If you think you will use multiple store in the future, make sure to store all of your product images in the "shared" folder for your site. This enables any additional store(s) to pull from the shared folder later, saving you both disk space and timely, duplicate efforts. Can I have different prices on my stores? Yes, your entire product catalog can have prices that vary by store. For example, you may have a B2B or wholesale site that offers 10,000 products at 30% margins, while you have another retail online store that sells 6,000 of those same products at 40% margins. Each store is geared to a different customer, need and price. 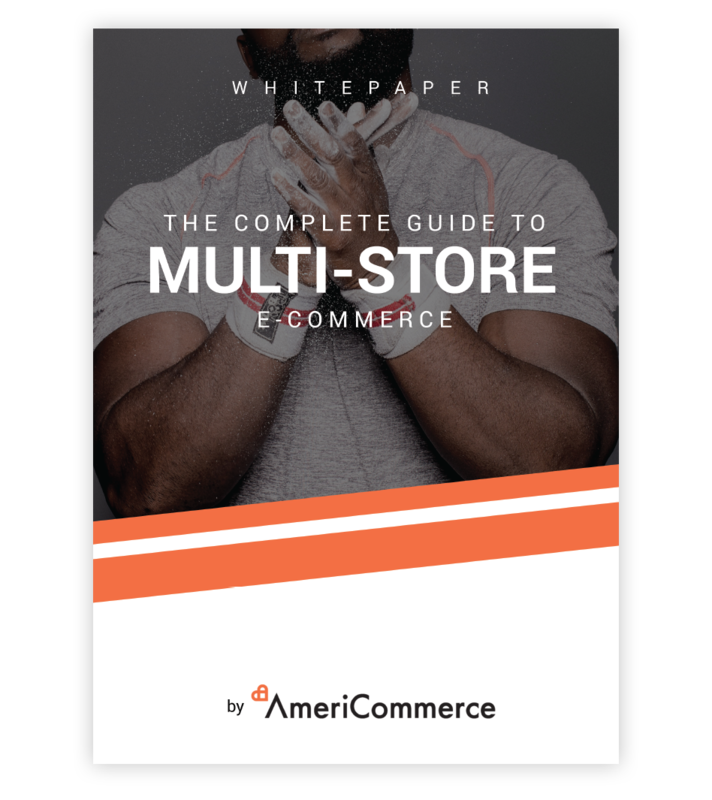 Whether it's wholesale or retail or just multiple selling strategies, AmeriCommerce enables you to run it all from one shared database for all the details. We're committed to the success of your business, whether you need one store or many. 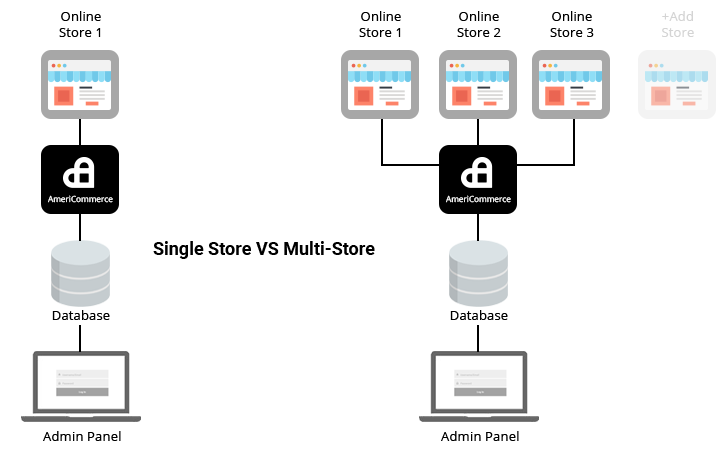 To learn more about our powerful Multi-Store functionality, check out our FREE whitepaper. If you manage multiple brands that sell products online, the most effective ecommerce platform is by far AmeriCommerce. This can apply to companies that provide fulfillment services or even companies with several locations that need a unique stores. Distributors that need specific wholesale sites or separate online stores geared towards a specific target markets. Can also be anyone with a current base of resellers looking to sell a suppliers goods online. 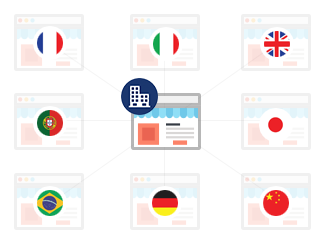 Run multiple sites in one dashboard - with each site having separate languages, currencies, pricing, warehouses, and much more. Perfect for those looking to branch their ecommerce division internationally. Start a trial and check it out for free!